You've carefully chosen your homebrew recipe, vigilantly watched your boil, added your hops, and patiently waited for your brew to finish fermenting. Now that all of your hard work has come to fruition, don't just throw your home brewed beer into a growler or bottle. With Kegco's HBK209B-3K Triple Faucet Home Brew Kegerator, it's easy to make the switch to kegging your homebrew, so you can serve your beer the way that it's meant to be enjoyed - straight from the tap! 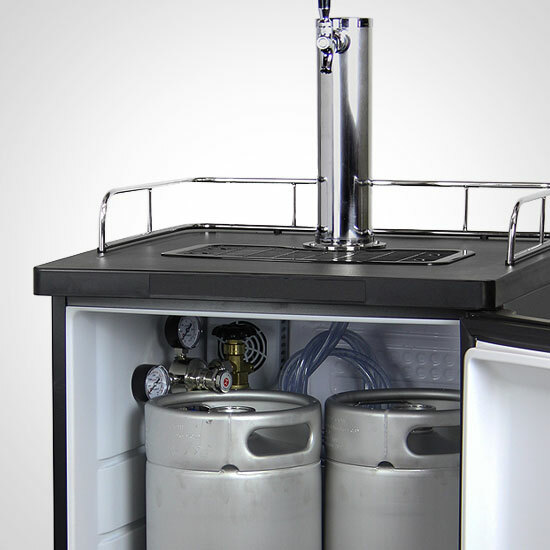 Kegco has taken the guesswork out of dispensing your home-brew by including a complete 3-tap direct draw kit with this homebrew kegerator. We've accounted for everything you'll need to get your kegerator up and running, from the durable 5 lb. aluminum CO2 tank to the tiniest washer. All you'll need to do is fill the CO2 tank and the included 5 gallon kegs, and you'll be pouring yourself a frosty glass of home-brewed beer in no time! This kit includes $35 dollars worth of upgrades at no additional charge, including a 3-faucet polished stainless steel draft tower, a premium dual gauge regulator with 3-way air distributor, and a CO2 tank with a glossy corrosion-resistant red coating. 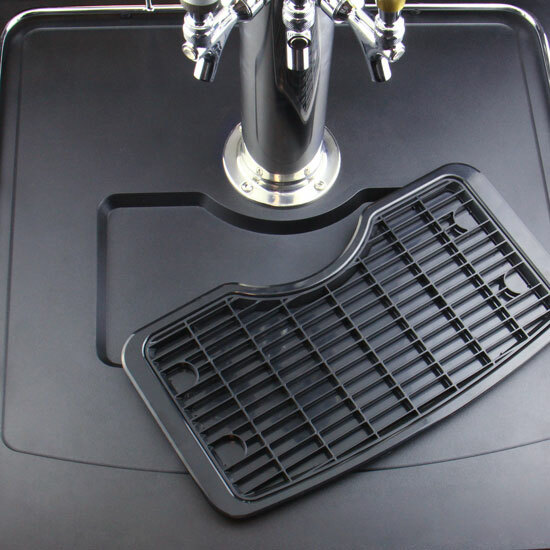 The HBK209B-3K is packed with many more convenient features like a dishwasher-safe removable drip-tray that sits flush with the textured surface top and catches drips and spills for easy clean-up. 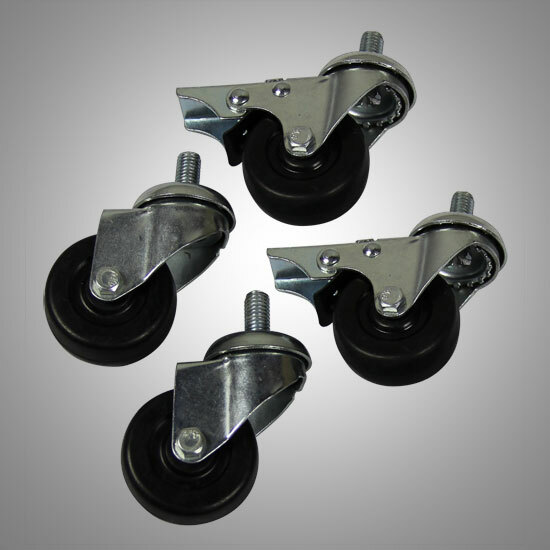 Four locking casters make it easy to move your kegerator to the perfect location in your home, and a stainless steel floor plate helps ensure long-lasting durability by evenly distributing the weight of your kegs to prevent damage to the lining. 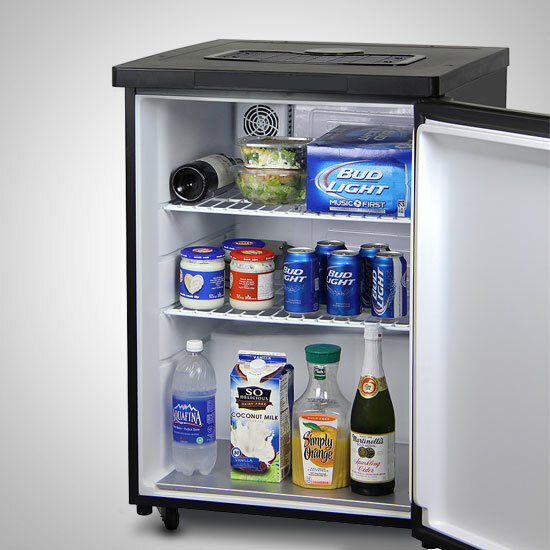 This versatile unit can even be converted into an all-refrigerator using the two included storage shelves, so you can store refrigerated foods and beverages while you're waiting for your next batch of home brew to be ready to serve.